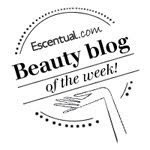 Neal’s Yard Remedies are campaigning to stop the use of deadly neonic pesticides which are killing bees all over the world, and are responsible for the loss of 80% of beehives in the UK. To enable this to happen they need 100,000 UK signatures on their Bee Lovely petition. Can you help to get more signature by the end of November so they can present it to parliament and request the British government join France, Germany, Italy and Slovenia in banning these powerful pesticides, and help protect our precious bees? 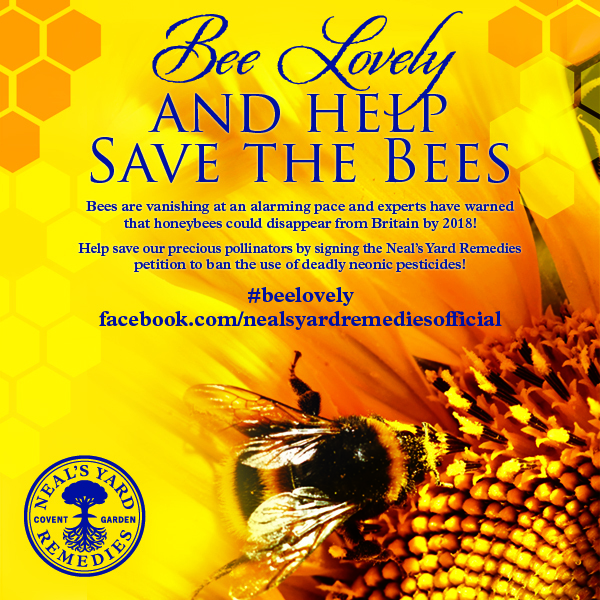 The petition is live on the NYR website - Bee Lovely Petition and is accessible through the NYR Facebook Page too - just click the ‘Bee Lovely’ tab near the top of the page. I have signed it, will you?